Back by popular demand; two pairs of our sustainable, much-loved socks presented in a fun sock bag. 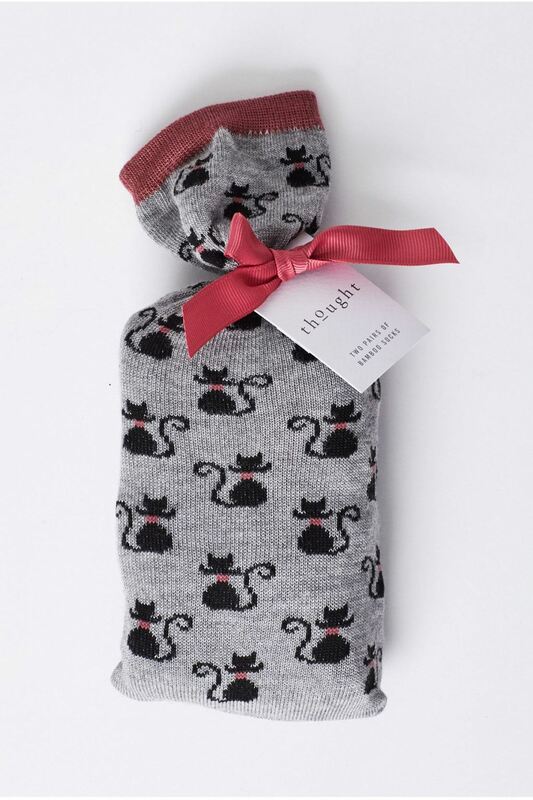 These exclusive cat print socks are made from Thought's incredibly soft bamboo and organic cotton blend. Back by popular demand; two pairs of our sustainable, much-loved socks presented in a fun sock bag. These exclusive cat print socks are made from Thought's incredibly soft bamboo and organic cotton blend. They are breathable, naturally anti-bacterial and anti-fungal, so your feet (and the planet) stay happy and healthy.